When YIMBY last checked in on the site for 25 West 24th Street back in 2016, a 47-bed homeless shelter was in the works, proposed by the Department of Homeless Services (DHS). Now, a new rendering by Issac & Stern Architects has revealed the planned exterior for the project in Manhattan’s Flatiron District, which indicates a substantial change in plans. The new structure shown looks to stand 18 stories tall, and is located between 5th and 6th Avenue. The site nearly measures 8,900 square feet and is currently occupied by a red five-story building once home to a hotel called Le Semana. Plans for demolition yet to be filed. The old plans listed Alan Garry of Kossar Garry Architects, LLP as the designer, while the developer was UWS 83 Holdings LLC. 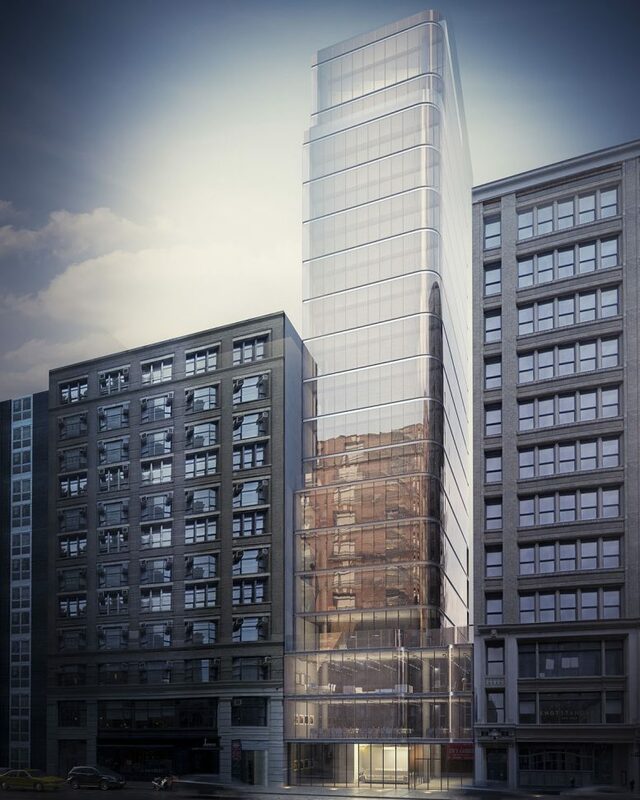 The rendering shows a simple glass design with curved glass corners and a couple of minor setbacks on the fourth, eighth and seventeenth floor facing West 25th Street. Construction and completion have yet to be announced. 2 Comments on "Rendering Revealed for 25 West 24th Street, in The Flatiron District"
Too bad about the setback. Wake up NYC building code!